Just had new 24' pool installed. Started filling pool and by next morning found leaking around pool in 2 places. It only had 23" of water when leaking started. The pool store said it was probably water seeping up where dirt had to be leveled and to turn water off for 24 hours and measure water loss. One inch was lost during that time. You can see the water dripping & hear a hissing sound also. Pool store said they would patch it but it's already leaking and have not even been in the pool yet. I think the liner is bad and a new one should be installed since pool is only 3 days up. 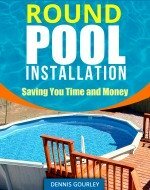 Should a brand new 30 year-limited warranty pool liner be patched or replaced? I don't think this liner should leak at all for a cost of a $4500 swimming pool! Should I insist on new liner? Hi Delores. That is a hard question to answer without knowing all of the facts. But I do know this happens on occasion. The first question that needs to be answered is why is the liner leaking. It is either a defective liner or the installers damaged the liner somehow. a new liner free of charge. A hole caused by an installer is totally different. It is not a defective liner and the pool company would probably have to pay for a new one out of their pocket. A properly installed patch would last as long as the liner. If they were to find a hole, not a defective seam, they will probably want to patch it. I would except that with a guarantee and a consideration. They should put in writing that their liner repair is guaranteed for life. They should also offer you some free stuff, or a discount. You should get something out of this. That is much cheaper for them than the cost of a new liner. If the liner is defective, as in a bad seam, then you have the matter of reinstall. The liner should be free, but the labor may not be. This is always a problem with defective liners. Most stores I have worked with would pay me to reinstall defective liners. They may, or may not have, been reimbursed by the liner company. But they did it as a customer service. It does not seem right to have a bad liner installed and have to turn around and pay again for the replacement, but that is the policy of most manufacturers. They are not responsible for labor, water or chemicals. The integrity of your pool store will have a lot to do with how this works out. Please let us know the outcome.